Boyd was chosen to complement our Juniper (Tartan Tights). We were so pleased with what Jo Dowthaite's import NZ CH.Freebreeze Romantic Fool at Notting Hill threw in our Juniper, that when we heard that Diane O'Neill was going to use him we thought this would be an ideal oportunity to get a dog sired by him to show along with her. We have not been disappointed with this decision. 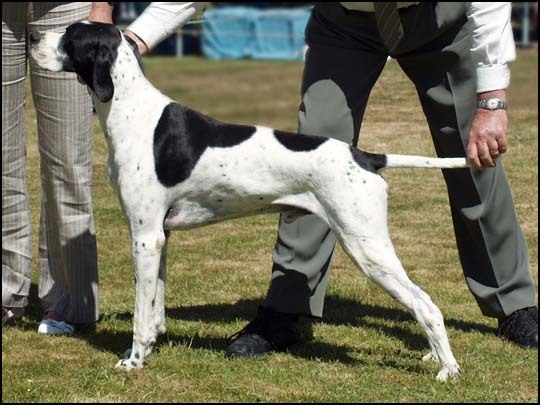 His wins include BIS at the NZ Pointer Club National Specialty under UK breed specialist Helga Edmondson (Crookrise). Thank you Diane.